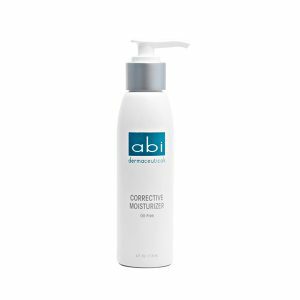 This intense healing moisturizer increases hydration and protects the skin against water loss while promoting tissue repair. It restores the natural suppleness of the skin that is usually lost as we age and are exposed to environmental pollutants. This thick cream based product is ideal for use after chemical peels and for post laser care. ABI’s NEW Hydrogen Silk Cream is perfect for skin in need of rapid repair. It weightlessly provides intense hydration while restoring balance for a beautiful healthy glow. This light, silky cream utilizes aloe and allantoin to calm irritation, redness and inflammation, while jojoba and hyaluronic acid boost the skin’s natural hydration levels and restore balance. Excellent for both sensitive and acne prone skin. This antioxidant rich moisturizer boosts the skin’s hydration level as it tightens, tones, and repairs damaged tissue. Using this product on a daily basis will provide firmer, tighter skin with a more even skin tone and lessen the appearance of fine lines and wrinkles. Ideal for mature to normal skin.